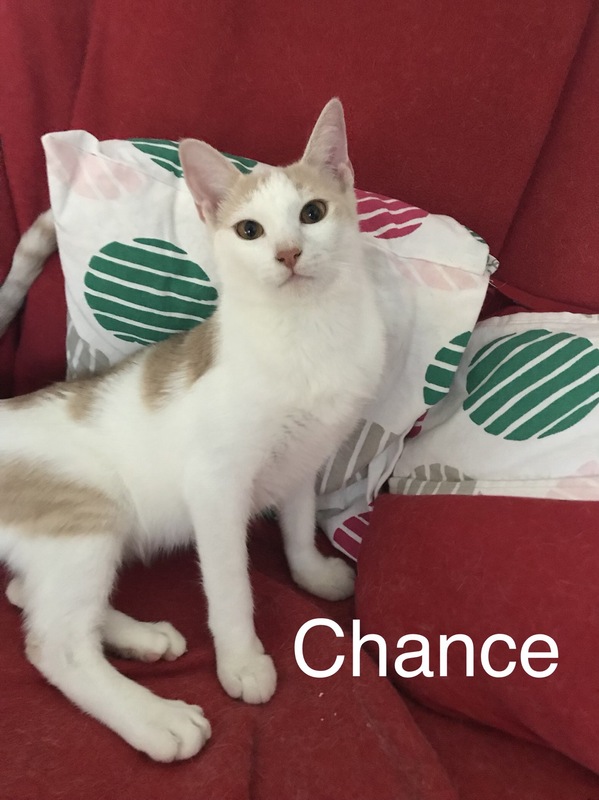 Chance is a 6 months old Male, vaccinated, dewormed and will be neutered upon adoption. 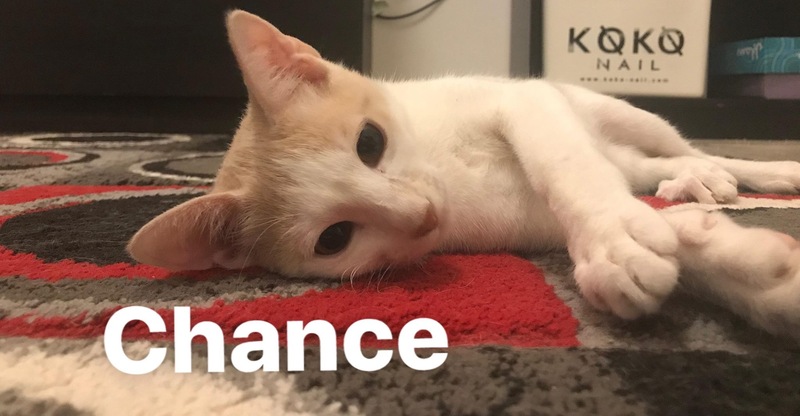 He is super energetic and playful, loves to chase stuffed mice and play with the laser point. 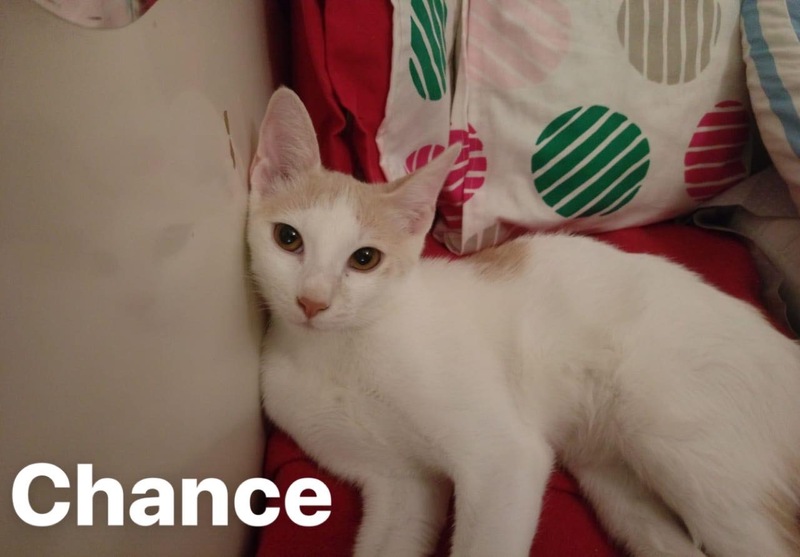 As playful as he can be, he is very affectionate as well as he grew up around humans since he was a kitten. He loves to cuddle up beside you, purr and knead and give you kitty kisses. He is good with other cats and kids.